The University of Saskatchewan offers a variety of housing options for students in our U of S Residences. Graduate House is the University of Saskatchewan's newest residence, offering housing for graduate students (in post-graduate diploma, masters or Ph.D. programs) or students enrolled in professional programs, such as Medicine, Dentistry or Veterinary Medicine. The four high-rise buildings that make up McEown Park offer something for students with various needs. Students with families, upper-year single students and couples without children, and other single students will all find a home in one of these buildings. You do not need to have been admitted to submit your application to live in residence and you are encouraged to apply early. Housing in Saskatoon is very affordable compared to other Canadian cities and Saskatoon has excellent bus service, with routes travelling to campus from throughout the city. A U-Pass (bus pass) is included in your student fees. The University of Saskatchewan Students' Union (USSU) offers an online Housing Registry where landlords looking for student tenants post available rental properties, and where students can go to look for off-campus housing. 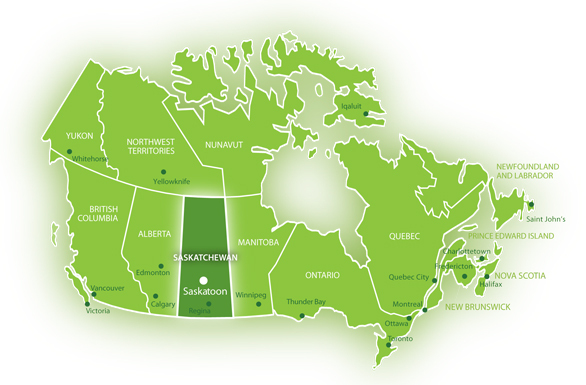 Located on the banks of the picturesque South Saskatchewan River in Saskatoon, Saskatchewan, the U of S is found in the heart of our province's largest city. Saskatoon is known for its high quality of life, modern amenities, welcoming people and sense of community. With a rising population of more than 250,000, Saskatoon offers many of the amenities of a large urban centre along with the friendliness and accessibility of smaller cities. There is plenty to do in Saskatoon every season, with live music events, festivals and cultural experiences offered year round. With its vibrant mix of many cultures, Saskatoon’s blossoming culinary and local shopping scenes also stand out. A leading centre of culture and learning, Saskatoon is also one of the most socially engaged and most literate cities in Canada.